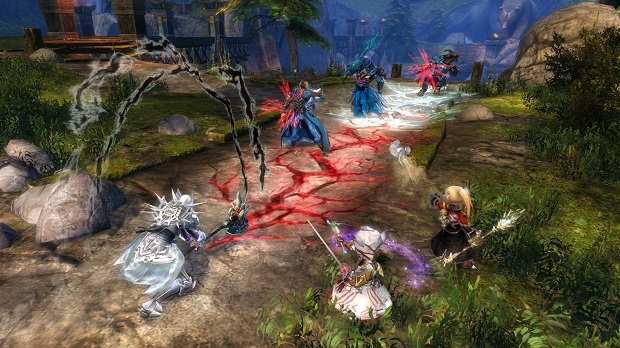 NCSoft’s financial report for Q4 of 2015 is due out any day now, and two of its highest-profile games should have some very interesting news to report. On Sept. 29 — one day before the end of Q3 — WildStar went free-to-play, while Guild Wars 2 launched its first expansion in October. Both of those events should have had significant impacts on those two games’ income for the October-to-December time frame… but how much? That’s a question we’re going to let you try to answer. Below you’ll find two polls, asking you to guess at the income that will be reported for both games when NCSoft issues its next financial report. (Here’s last quarter’s.) If it keeps to the same pattern, that should be between the end of January and the middle of February, so we should have at least two more weeks. For WildStar, here are its revenue numbers for the last four quarters, all in millions of Korean won: 5,491, 2,593, 2,075, 1,727. And here’s the poll for Guild Wars 2. Its last four quarters were 19,272, 20,026, 22,470, and 20,699. For reference, the last time it managed a quarter over 35,000 (36,382) was Q1 2013, five to seven months after its launch; the previous quarter was a whopping 119,013. Take your best guess now and we’ll see how it all shakes out once the financials are released! Hahaha,atleast wildstar is not a click bait kind of thing.A fake free to play in other words. Other than some social features restricted which are also obtainable later in game in wildstar everything else is free for all. your fun wars 2 on the other hand is just a free to try.The expansion is not free.Its like a half game lol. Look, it’s a retarded in his usual habitat, the interwebs! Don’t bring any oppinion or meaningful sentence close to him or he will get aggressive and try to defend himself like somebody was about to murder his infant. tl;dr: kys, the human race will prosper. and yet i find people to party with at wildstar all the time. had the best of times leveling up through the story in wildstar. the bots in pvp are there though. good i dont pvp.